[LASD] – Metro and L.A. County Sheriff’s deputies are asking patrons to watch for the person in these photographs. On July 16 at approximately 11:10 p.m. this suspect was captured on video grabbing an Apple iPad from a Metro patron as she was riding the Blue Line. When the train arrived at the Compton Station, the suspect approached the victim from behind, grabbed her iPad from her hands and fled the train car and platform northbound on foot. 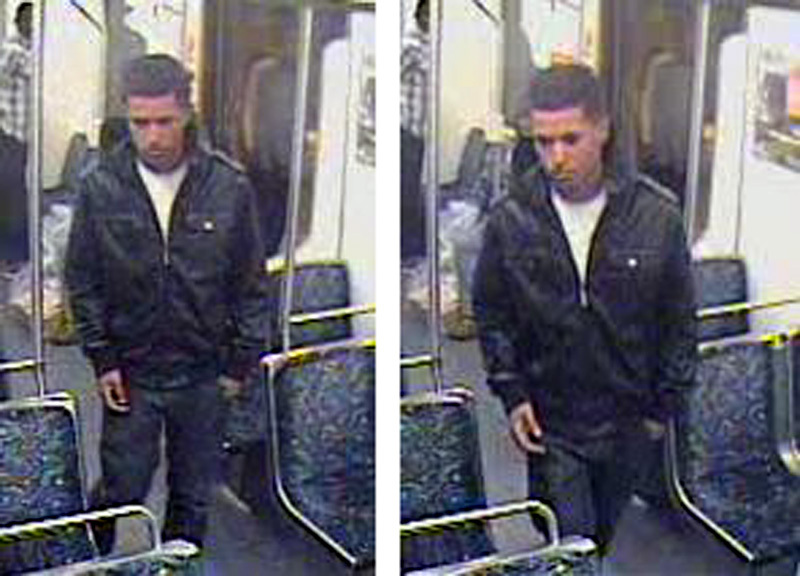 Please call the LASD Transit Services Bureau (323) 563-5000 if you recognize this man. He is thought to be 17-19 years old with black hair and brown eyes, 5? 6? or 5? 7?, 140-150 pounds. Should you become a victim or witness a crime, try to note the train car number (posted on the outside of trains near the car corners and posted inside on the doors leading to train cars in front and in back), the time, the station and the line. Call LASD Transit Services Bureau immediately. There are video cameras on all trains and buses and train platforms. Working with photos captured from surveillance cameras, Sheriff’s deputies can search for robbery suspects. “We catch many of the suspects responsible,” Cmd..Jordan said.